I got a question from a customer who did not want the red, purple, pink, green etc colors in the modern views in SharePoint on Office365. It seems like each subsite gets their own colors, and how can you change that to one color that matches the company’s graphic profile? Pressed F12 to get the developer tools and deselected the bg color that was in a class called something with theme.. and then the default blue color showed up. So this color theme comes from an actual theme on the site. 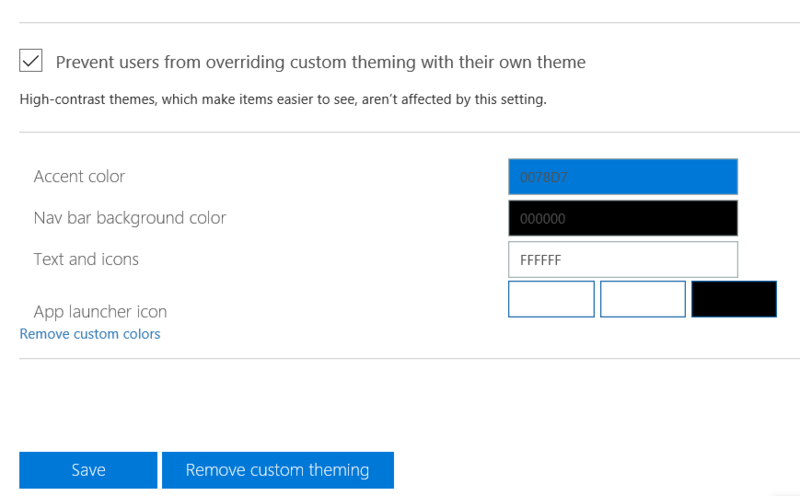 I have never chosen a theme, but decided to check out if any settings where applied anyway. First I opened the link “Theme” in Site settings, and removed any folders from there. Did not change anything. Then I opened Site settings > Change the look and selected the Office Default Theme. No change. Click on “SharePoint”, the tile in the app launcher. There you can see the pattern. The colors comes from the icons there. It matches, I got the pink color and purple color on these two sites when I open the modern views. I am stuck here, there is no settings that I have found that can change these colors. If you don’t want these random colors, make the following changes (below). Note that this will NOT affect the sites that are already created. When you want to filter a view, there are many clicks to get to the actual values you want to filter on. 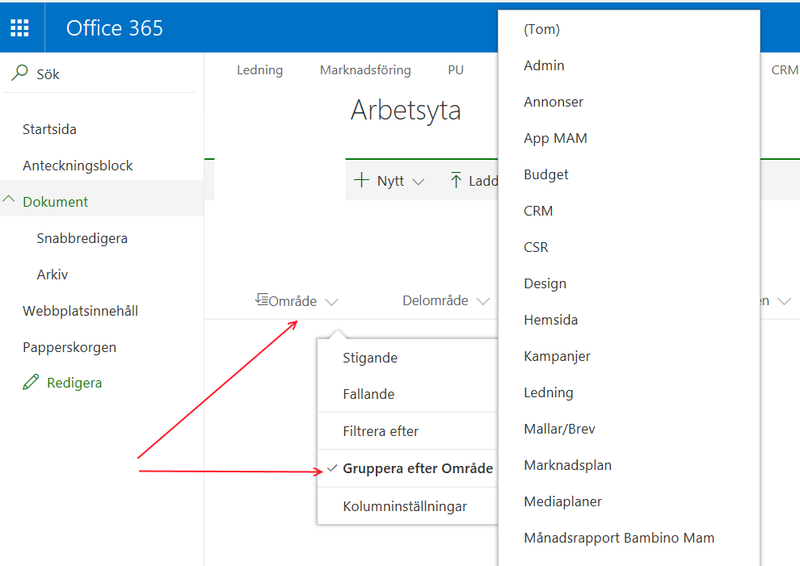 In former versions it was just one click, then the dropdown with values came up. Now you must click (and aim on that flyout can be difficult.. :)) and then click again to see the values. Also, not sure if you can multi-select in this drop down menu. Otherwise you have to click the Filter symbol up in the right corner of the view and open that panel where you can multi-select. You must click to change to a view that is not grouped, then click Quick Edit, and then you can tag your documents. 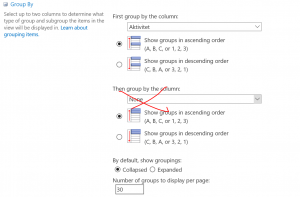 This used to work in grouped views, in SharePoint 2010 it worked so I don’t know why it has been removed. To workaround this, I have added a link in the left side menu called “Quick Edit” and that links to a new view that I set to open directly in edit mode (you can create a view that opens in edit mode directly) which saves even more clicks for them. 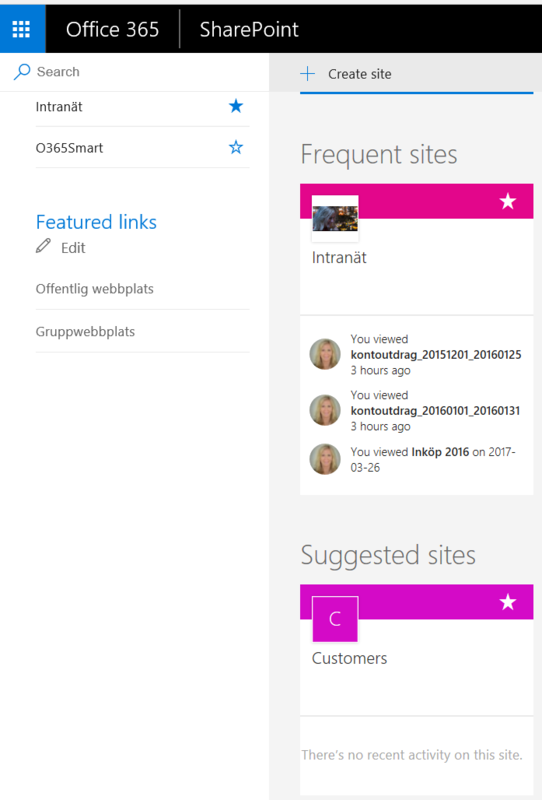 So this new look has been rolled out last week in SharePoint online for Office 365 users. At first glance it looks great, I like that “hard-to-find” ribbon is gone and easy access to all buttons. But then I got a call yesterday from a customer who was asking why their document libraries no longer worked as expected. 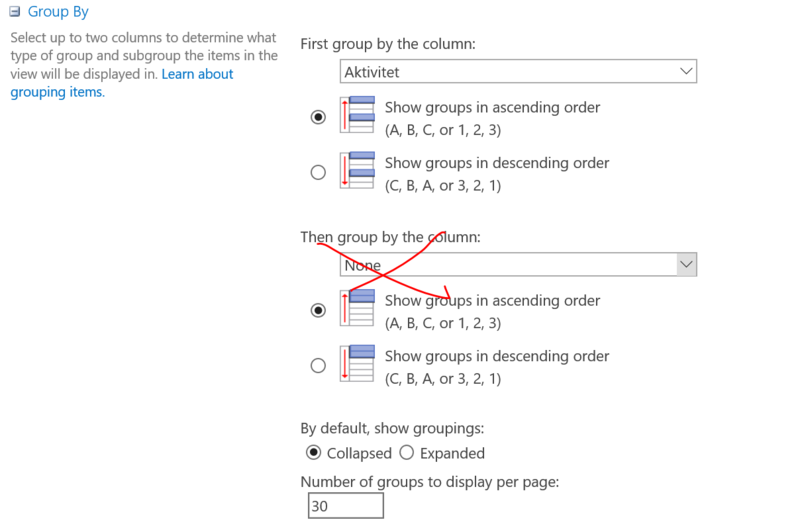 What had happened was that the “Group by” function no longer worked correctly, as the First level grouping was hidden and the Second level was instead displaying all documents. Which led to big confusion for the users of course. Grouped views displays documents by their second level, not first! Is this a BUG or change of standard functionality? Grouped views has been in the product as far as I can remember (I have worked with your products since 2003 and document library features has not changed that much). 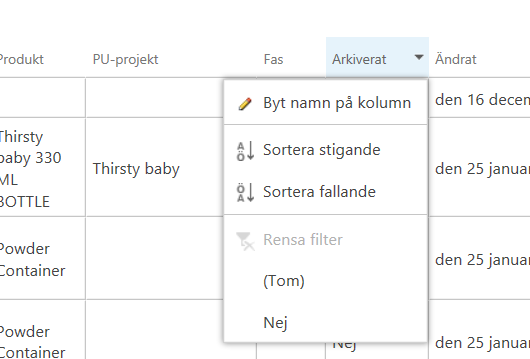 Why change something so basic that has been in the product for so long, don’t the developers at Office365/SharePoint/MS (who knows) think we are using these functions or why?? I noticed that if you change view from “All documents” (which is the default view in document libraries, untouched!) to the “Tiles”, then the grouping works but its still not smooth, it is very much clicking around and you soon get lost on where you are in the library. It shows first level one and if you click on that level you can see level two but you must click back and forth. It’s just not good enough! It’s messy! Don’t the developer teams follow their own “best practices” and test these type of scenarios?? I mean, before rolling out a new critical function like this? They don’t think this feature is implemented on intranets and document management systems out there?? Well then they have not seen many real live intranets because I see it a LOT!! I have always followed the OOB standard and educated people telling them how important it is to follow Microsoft recommendations and use metadata instead of folders, to easily find and filter documents and that search picks up metadata etc. And one thing I have learned from all the years of working very closely to the organizations is that “people want structure“. They can’t handle when you just dump thousands of docs in one library and say “use the columns to filter”. 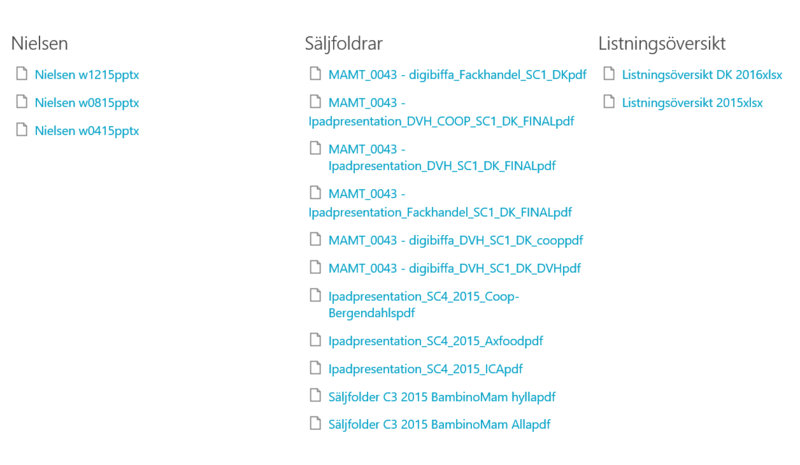 No, they want to organize the documents so it looks like folders, although its metadata. And that magic could happen with the “Group by” function. Yes, you can have one level now in the new “modern libraries” but then the button “Quick Edit” is gone so “win some loose some”. So again. Not acceptable. And why isn’t such important functions like “Quick Edit” visible on Grouped views? Come on!!! It was the same already in the on-prem 2013 product on grouped views so I guess this is something that is programmatically hard to achieve (?) but should that be OUR problem? As a workaround I have always had to build own “Edit” views so the users can do this fast and easy (fake it til you make it right?). We want to be able to work fast and easy, not click so many times that you forgot what you were doing on the way there… Yes they can select a document and use the i-button and the task pane etc… But what if they want to use the fantastic “QuickEdit” view to update several documents at the same time? Is there going to be an update to this new library feature so that the Groupings will work on 2 levels again? Or if not, will you correct the BUG that it shows level 2 now and not level 1. Will the Quick Edit button be visible for Grouped views also? 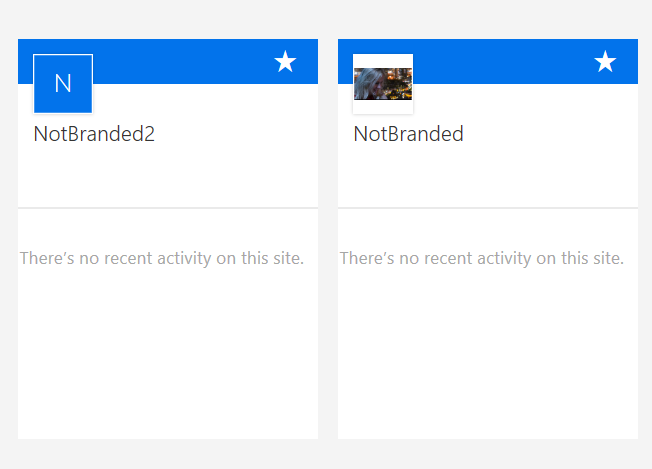 I never recommend to use this but users LOVE the “Open with explorer” and is that gone also? Situations like this really makes me question why I am working with this product, because we have to struggle so hard to make users understand how to work properly with SharePoint and not only use it as a file share, (yes that is very common out there) but to really discover all the great functionality with SharePoint document management. But it’s tiresome when standard functionality changes and all of a sudden you doubt the things you have claimed were good and best practice. 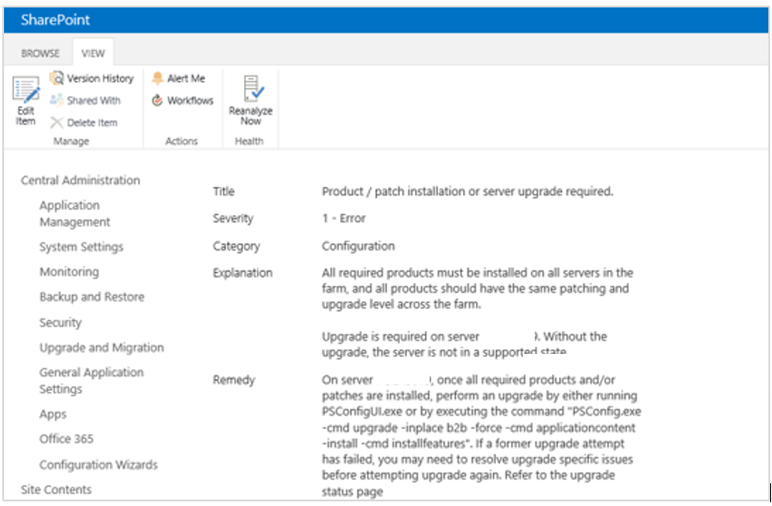 This warning message has turned up in the Health Analyzer on a SharePoint 2013 OnPrem Server. 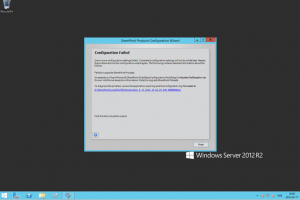 I decided to run the SharePoint Configuration Wizard and after quite a long time running the upgrade step, it gave me an error message first saying it could not start the User Profile service and then I got the Configuration Failed message. But no worries, it is because it could not start the ups service. First I went back into the Health Analyzer and clicked the button “Reanalyze now” on the message and then it was gone. 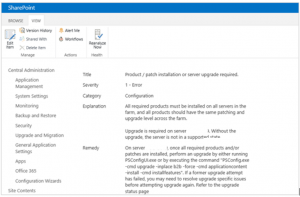 Also checked the “Upgrade and Migration” link, “Review database status” to see that the normal “No action needed” message was back on the databases. And it was, so the upgrade was indeed successful. Went into “Services on server” and started the UPS service again. A quick way to add or manage (copy paste drag and drop) files in SharePoint is to open the document library in Explorer. But in Edge or Chrome, this alternative is greyed out. 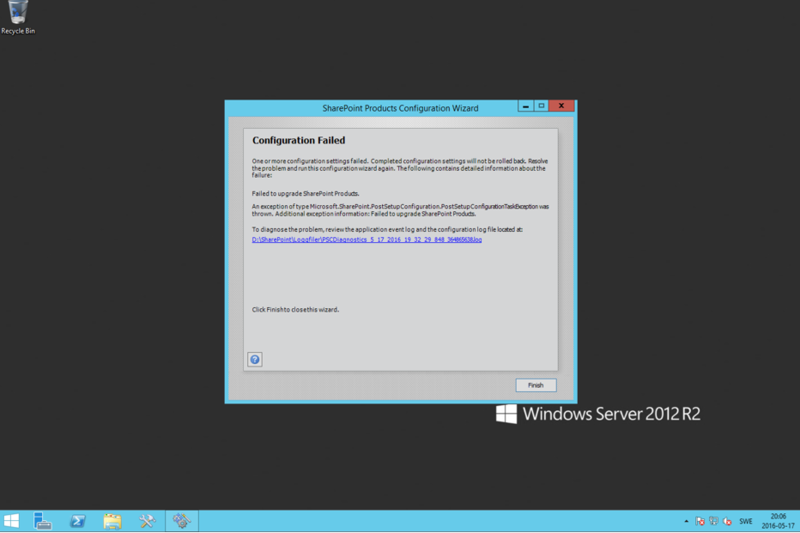 Okey so this solution is nice if you have permissions and can do stuff in your SP environment. I want to be able to send documents directly from the intranet or any other site in SharePoint to my OneDrive, without having to download the document first (which feels really old to do). But there is no way currently to do that in Office365, unfortunately. So I thought that changing the OneDrive site to have a “Drop off library” and use the Content Organizer to do this for me. Then you will find this Send to action in the ribbon of any document library! Welcome visitor! I have moved my blog to WordPress and my own domain sharepointbabe.com. My former sharepointbabe.blogspot.com felt old and not responsive 😉 So time to refresh! I love WordPress, so many templates and widgets and plugins!